Since 2015, the luminous message of loving wisdom that the Lord has put in the soul of Mother Trinidad is also resounding in French. Providence has wanted to open this door that leads to the French-speaking world, to which 272 million people in the five continents belong, and the fruits that this parcel of the vineyard of the Lord has begun to bear are really promising. 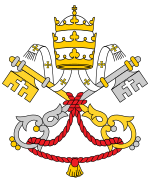 The majority of these apostolic trips had its originin the Ad Limina Apostolorum visit, i.e. the visit that all Bishops from all over the world have to make to Rome approximately every five years, to report on the progress of their diocese and to receive guidance from the Pope and his collaborators. The Work of the Church, as it can be seen in more detail in the presentation video, welcomes and accompanies them during those days. For many of them, that contact was the first they had with the life and mission that Mother Trinidad has received from God, but not the last… In fact, a considerable number of them accepted the invitation to attend the retreat called “The Plan of God in the Church”, and then, the surprise caused by the strength and conviction with which Mother Trinidad speaks about the mysteries of the faith turned into desire that this message reach everyone, starting with their own priests. In this way, numerous requests from Bishops to have a retreat of The Work of the Church for their clergy in their own dioceses began to arrive. Requests that, in its majority, came from that beloved land of mission -and, at the same time, land of a happy and living faith-which is Africa. These requests for retreats would immediately extend to the religious and lay people. Mother Trinidad received these requests full of joy! And even more when knowing at first-hand, after each trip, the opening of soul of so many simple people, which allowed the action of God’s grace in them, the understanding of a message that had to overcome obstacles of language and culture, and the profound union with that small “Echo” which is Mother Trinidad, who does no more than repeat the song the Most High sings in His Church! “The truth is that at the beginning of the retreat I had some prejudices due to the fact that there are many people here who pretend to be a “prophet” overnight, but little by little all of us priests have realized that this comes from God and that is what we and our people need. It has been like rediscovering everything that we had studied in the Seminary, but in such a harmony and depth that made me think during the talks: “Ah, sure… ah, of course… ah, of course!””. “I want to thank the entire community of The Work of the Church. In Rome, I was the object of a lot of attentions. And the retreat that I attended there gave me a new impetus to contemplate the beauty of the Church. The Plan of God for Humanity lies in His unspeakable love. This experience was like being on Mount Tabor. I would also like to thank them for the beautiful retreat they have given us in our land. My diocese is willing to continue to receive this great spiritual richness. May God protect them all and especially Mother Trinidad”. “What I received during this retreat has been a gift for a new beginning in my spiritual life. I cannot stop pondering the words and phrases of Mother Trinidad every day, and that is why I would like to thank her once more, and thank you as well, who have agreed to make thousands of kilometers in order to share this spiritual treasure; may the Lord give her a long life and to you the strength to travel the whole world”. “I feel full of joy at the end of our annual retreat. The priests of the diocese have been able to live the experience that I myself lived in Rome after our Ad Limina Visit in 2014. The retreat that I attended there moved me deeply and changed “something” in my life. It was for me, so to say, a starting point – I had just been ordained Bishop only 3 years before that -. There were things that I already knew, but the way in which Mother Trinidad addressed the issue shook me, woke me up, allowed me to know them even more, and especially personalize what I had heard. This changed the understanding of my life as a Christian, priest and, even more, as a Bishop. It is something very special and I am glad to share it with the priests, who have welcomed it with enthusiasm”. But not only have the Bishops been missionaries of this knowledge and love for the Holy Church with a touch of simplicity, depth and life. Also some families of The Work of the Church, with their apostolic thrust, have supported the request of God to Mother Trinidad of “¡Go and say it, this is for everyone!”. In this way, the French-speaking area of Switzerland, and specifically the canton of Vaud, has received in 2016 three apostolic visits of consecrated members and families of The Work of the Church, carrying out activities in parishes, having meetings with laypeople, priests and distributingthe writings of Mother Trinidad during them. All of these activities were very well received, both on the part of French-speaking people and the Spanish-speaking community. “We are very happy since the Holy Spirit came to visit us and fill us with His love through the visit of some members of The Work of the Church. Thanks to the teachings of Mother Trinidad, which shed light on the mysteries of our Lord, they are bearers of this knowledge, and they spread it in a viral way to those who get in contact with them. I thank Mother Trinidad for having shared her fruitful lights and I pray for her so that her Work of the Church spreads through all the continents”. In all the dioceses visited to date – in all!Many people have experienced a profound encounter with the Lord, or a true conversion, or a discovery of the rich mysteries that are gathered in the Church: Bishops, priests, religious and lay people; God is for everyone!